The story is told in flashback with Steve looking back on the events leading up to the heist now set in motion. He just returned to Los Angeles after a long period away claiming he came back only for his family; his elderly mother, and his kid brother who is getting married, and not for his ex-wife, Anna. He gets his old job back as a security guard for an armored truck company. But fate, bad luck, call it what you will, intercedes and Steve finds himself one evening at his old hang out, a nightclub dive, and there she is dancing on the floor, spinning, twisting to the beat of the hot Latin music of band leader Esy Morales. In a series of close-ups and cross cuts we view Steve standing off to the side watching as Anna, on the dance floor, with her partner a young unknown Anthony “Tony” Curtis, (1) dances wildly to beat of the rhythmic music. We watch Steve slowly being sucked into old desires thought long gone. When the dance is over, their eyes finally connect. They talk, she wants to get back together, Steve plays it tough, he wants nothing to do with her, it’s over… or so he says. Old feelings die hard and they are soon together again. His mother warns Steve to stay away from her, Steve’s old friend, Inspector Pete Ramirez (Stephen McNally), warns him too, she’s no good, but the warning falls on deaf ears. After a chance meeting at L.A’s Union Station the two lovers are back together. Steve’s friendship with Ramirez falls apart when Steve discovers he told Anna to get out of town. The couple makes plans, then without warning, she takes off, marrying Slim Dundee (Dan Duryea) a small time creepy hood. Still, the two lovers can’t stay away from each other. 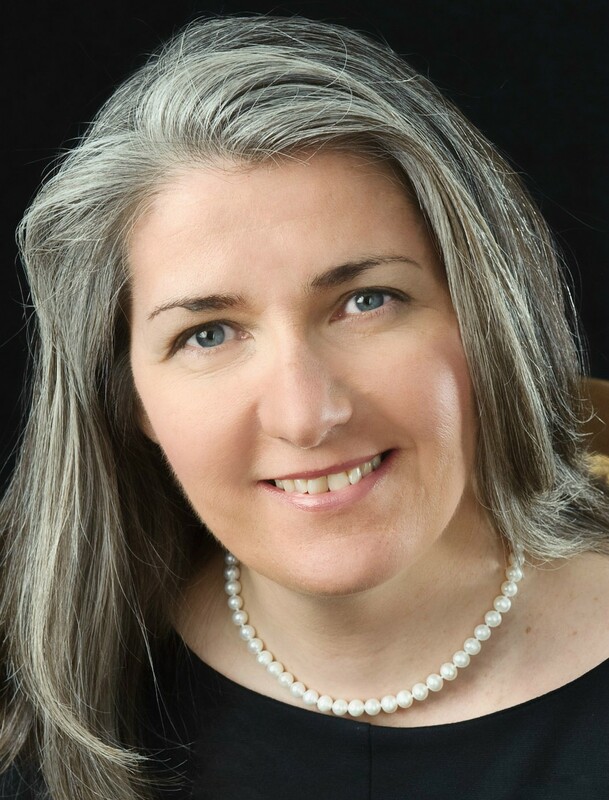 Anna goes to see Steve at his place; they are caught together by Dundee and his men. To cover up their indiscretion, Steve utters they were discussing a potential robbery scheme of the armored truck where Steve works. They would do the heist together with Steve as the inside man. Dundee buys into the plan and the plan is set into motion. The night before the heist, Steve and Anna firm up their own plans to meet up and run off together after the robbery. Back in current time the well planned robbery is set in motion only Dundee and his men double cross Steve. They shoot him. Wounded, he retaliates; the robbery is botched with only a portion of the money stolen and Steve ending up a hero with a picture in the newspaper. Hospitalized, Steve is set up and duped by Dundee into leaving the hospital with a guy who works for him. He leads Dundee to the hiding place where Anna is waiting. Ever the dope, Steve still doesn’t get it. For Anna, it was never about love, it was always about money. While Steve looks on shell shocked, Anna packs her bag planning to get out before Dundee arrives, but she is too late. In walks Slim with a gun in his hand. The dame and the dope have reached the end of the line. So has Dundee as police sirens are heard in the background and we are left with the final image of the doomed lovers on the couch….dead. Neither Burt Lancaster nor director Robert Siodmak wanted to make this film after the premature death of producer Mark Hellinger who also produced the earlier noir classic, “The Killers,” which both men worked on. Lancaster biographer Kate Buford (2) points out, Lancaster was tired of playing doomed saps (The Killers, Sorry, Wrong Number); he wanted to move on to more heroic types roles like “The Flame and the Arrow,” “Jim Thorpe, All American” and “The Crimson Pirate.” In some ways it was too bad because Lancaster was perfect as a physically, tough, good looking guy who had a vulnerable Achilles heel …in this case, a double crossing woman named Anna. For the director, with Hellinger out of the picture, Siodmak gained more freedom and changed the storyline, based on a novel by Don Tracy, changing L.A. locations to the more blue collar working class area known as Bunker Hill, adding touches here and there and in the process creating a classic. 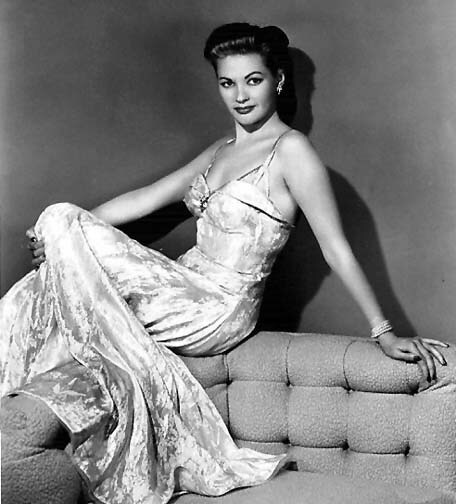 Yvonne DeCarlo, who previously co-starred with Lancaster in Jules Dassin’s “Brute Force,” is probably best remembered today as Lily Munster from the 1960’s TV show, “The Munsters.” DeCarlo was an exotic beauty, though the Latin sounding name is pure fiction, with almond shape eyes and full lips. While her career was long, her list of memorable films is short. Dan Duryea repeats the kind of role he perfected in so many films (Scarlet Street, The Woman in the Window, Too Late For Tears), that of the sleazy, slime filled low-life. Though we have seen it so many times before, he is always fascinating to watch. A very young Richard Long plays Lancaster’s kid brother. 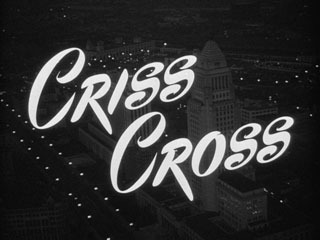 However, over the years, “Criss Cross,” has gained a reputation as a film with a hard bitten cynical outlook and fatal ending. The film contains a leading man who is the classic sap, one of the most treacherous of femme fatales, a woman to die for, and a creepy underworld scumbag hoodlum, appropriately portrayed by Dan Duryea. Mix in the voice over by Lancaster, the dark low key lighting, brilliant composition and you have the perfect mix for a classic film noir. In 1995, Steven Soderbergh directed, “The Underneath,” a loose remake, with Peter Gallagher and Alison Elliott in the lead roles. (1) A few years’ later Lancaster and Tony Curtis would co-star in the brilliant “Sweet Smell of Success” directed by Alexander MacKendrick. (2) Burt Lancaster: An American Life – Author Kate Burton. 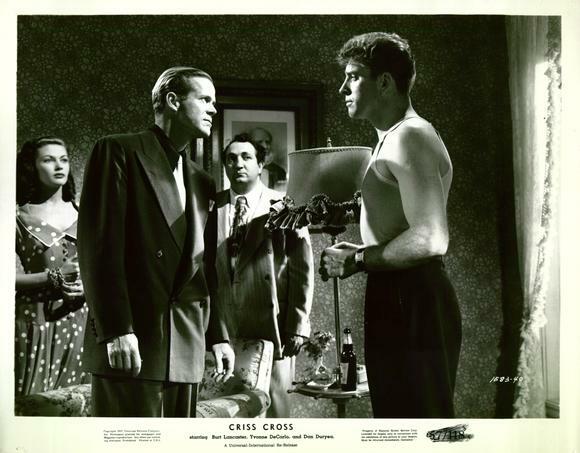 This entry was posted in 1940's, Burt Lancaster, Film Noir, Film Reviews, Robert Siodmak and tagged Alan Napier, Burt Lancaster, Criss Cross, Dan Duryea, Esy Morales, Richard Long, Robert Siodmak, Stephen McNally, Tony Curtis, Yvonne DeCarlo. This is another one of my favorite Film Noirs but after watching it over twenty times i cannot figure out how Anna gets the money and goes to Pales Verdes.What is your explanation? A good question that has no answer. I don’t believe it is ever explained how she got money. She was suppose to be in hiding waiting for Steve to arrive.I think it is just a hole in the script that is never really given a reason. A real loophole for sure. I am a fan of THE DARK CORNER. I need to find a copy of the film. Amazon has THE DARK CORNER on DVD. It’s part of the Fox Film Noir series. 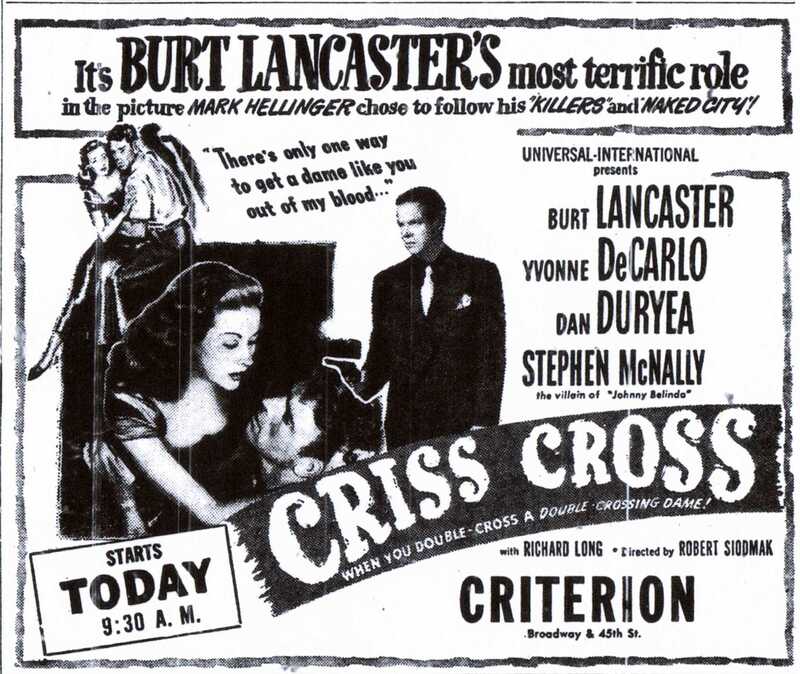 I liked Criss Cross and thought Lancaster gave a nice performance. I thought how the heist was devised was quite clever. Glad you’re a fan Kim. Lancaster was good at playing a love struck sap. When he is subdued he does quite well. In some films, I though he sometimes had a tendency to overact. John, for some reason I’ve never seen this film!!! I will have to get it on my list. I have heard good things before and you are reminding me again I need to see it. Hope you get to see it Jon. Netflix most likely has it, I purchased my copy via Amazon for like $12. Sounds like the contemporary critics were balking at the overwhelming fatalism that now makes Criss Cross stand out as a definitive noir film. Few are as doom-laden, not due to fate but to people failing to control their impulses. That and the robbery scene make this just about my favorite noir. Agree totally Samuel. Critics of the day pounced on the film as just another version of Lancaster playing a dump sap for a duplicitous woman. They missed the whole fatalistic mood of the film. Siodmak made so many great films, it’s sad; he is not better known today. 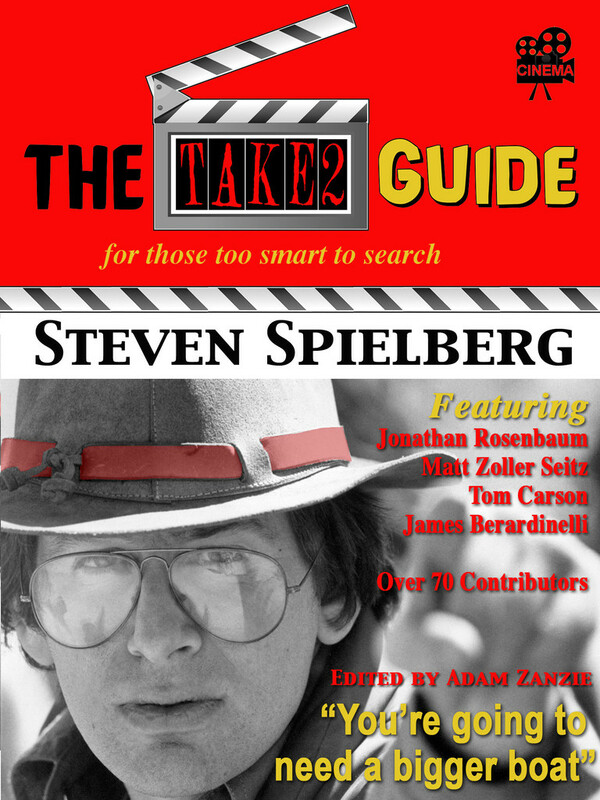 This is a terrific, impassioned review John, and I was much fascinated with the behind-the-scenes information. While most cineastes consider THE KILLERS and CRISS CROSS as Siodmak’s two best films, I have always embraced the less-heralded THE SPIRAL STAIRCASE as tops, but I know that’s a minority position, and it flies in the face of his ‘noir’ underpinnings. 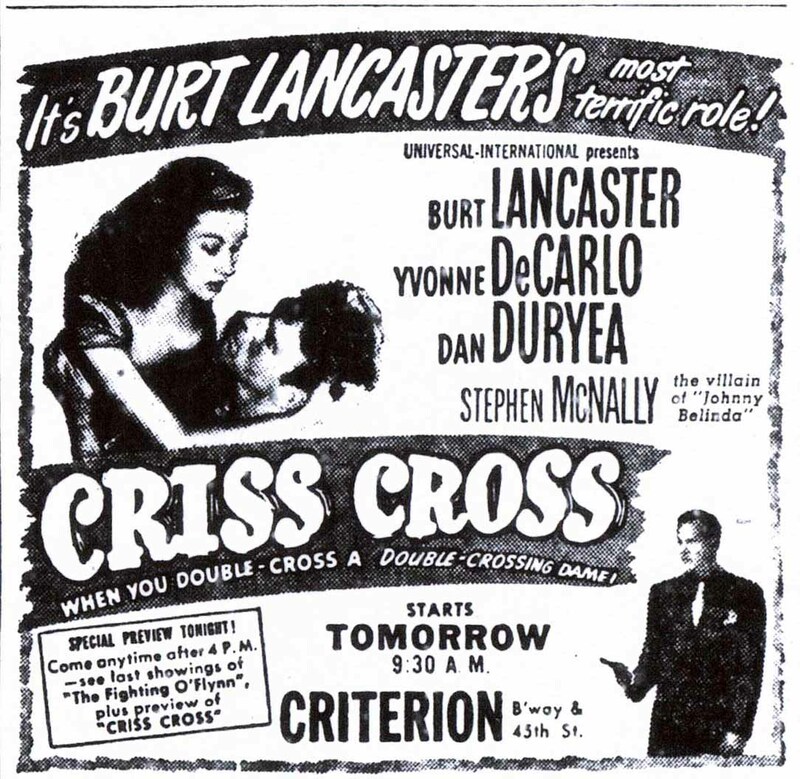 CRISS CROSS is truly Shakespearean in its scope, showcasing star-crossed lovers contesting their predetermined fate, and while Lancaster, DeCarlo and Duryea are outstanding, there are several buffo supporting turns as well. That noctural hospital room scenes is one of noir’s defining moments, and a number of other set pieces define the form’s visual essence. Again Miklos Rozsa’s score provides a thematic undercurrent and tension and doom hangs over the entire film, which is one of noir’s bleakest codas. There are times I do believe this to be Siodmak’s finest hour, but I’ve stubbornly held to nostalgia and sentiment that informs childhood favorites. CRISS CROSS by any barometer of measurement is one of the genre’s finest hours. I probably would go with THE KILLERS as Siodmak’s best film,THE SPIRAL STAIRCASE a close second and CRISS CROSS right behind it. Either way, all three a great, great films that are must sees. I meant to add a thought on Rozsa’s music which as you say “provides a thematic undercurrent and tension and doom hangs over the entire film” Thanks again for the kind words. John, I love postwar American film noir, and this is one of the best and one I think that improves with rewatching. I don’t think it’s quite as good as Siodmak’s “The Killers,” but it’s close, as is the film Sam mentions, the near-noir thriller “The Spiral Staircase.” He also directed some other good noirs and quasi-noirs in the 40s. I find it interesting that some of the most notable postwar film noirs, a genre that is quintessentially American, were directed by non-Americans–the Germans Siodmak and Fritz Lang and the French Jacques Tourneur. I think of Lancaster and Robert Mitchum as the archetypal antiheroes of this type of movie. Siodmak has made quite a few other good noirish style films. I am also a fan of “Cry of the City,” The File on Thelma Jordan, Phantom Lady and to a lesser extent, “Christmas Holiday,” and “Son of Dracula.” The last film is not really noir and a film I have not seen in a long time should take another look at. Film noir definitely was influenced by German Expressionism, the low key lighting, camera angles and set design all elements of noir are direct influences from German Expressionism. I would put Mitchum at the top of the list with Lancaster a close second. Many of his early films were noirish in style up to and including the masterful, “SWEET SMELL OF SUCCESS.” Dana Andrews is another actor who made his share of noirs..
John, I’ve seen and enjoyed Steven Soderbergh’s CRISS-CROSS remake THE UNDERNEATH, but I must admit I’ve never actually gotten around to seeing the original film! 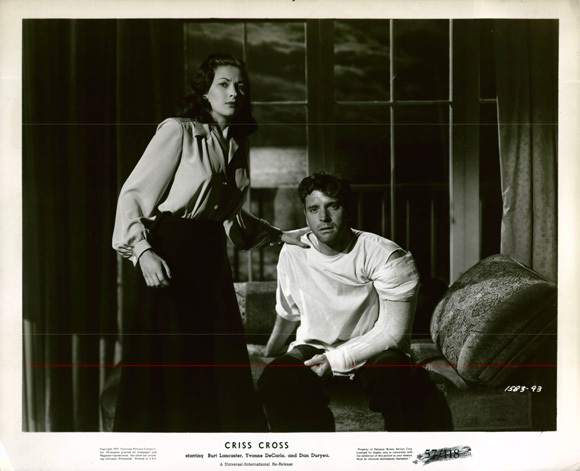 Your gripping review, which feels like a great film noir in itself, has encouraged me to seek out CRISS-CROSS; the cast itself is world the price of admission. Superb review, John, as always! I will have to check out THE UNDERNEATH. Appreciate your thoughts. I am sure you will like CRISS CROSS, hope you get to watch it. I haven’t seen “Criss Cross” John, but will look for it now. As I first started reading your review I thought, “Sounds like the same kind of role he had in “The Killers” though Yvonne DeCarlo was no Ava Gardner…” – and I can see why Burt Lancaster might’ve been hesitant to play another ‘doomed sap.’ But he was so compelling in the noir films of his I’ve seen. “Sweet Smell of Success” has been called the last of the great films noir, and Lancaster was absolutely riveting as J.J. Hunsecker, one of his defining roles. Lancaster’s role is similar to THE KILLERS, he’s tough but a sap for a woman. Ava Gardner would be much harder to resist than DeCarlo, that is for sure. Frank Sinatra found out how hard she was to resist (LOL). “SWEET SMELL OF SUCCESS isa masterpiece, love that film. Do hope you get to watch this! I dearly love “Criss Cross,” so I especially enjoyed your post! The performances are all great, and I totally agree with your assessent that Lancaster was top-notch in his portrayals of love-sick saps. I also agree that it’s a perfect film noir! This film grows on me everything I watch it. Along with THE KILLIERS and THE SPIRAL STAIRCASE, one of Siodmak’s best. Thanks again!